Do your advertising activities help your brand stand out? Too often, brand messages are price and product centric rather than focusing on brand differentiation. If you are part of a crowded industry, advertising messages that mimic competition make your brand less visible. Consumers will not remember your business if your advertisements look too similar to competitors. Ads that focus on brand differentiation ensure your message is remembered. Many times, brands flock to the same platform as their competitors and struggle to be seen by their shared target audience. Transit advertising allows your brand to be seen without fighting for space from the competition. Full wrap transit ads receive up to 350 K impressions per week. Low cost per impression ensures your ad message is seen in high impact areas of town, multiple times. Transit ads cannot be swiped away or limited by browser settings. Buses place your ad up close and personal with your local target audience. Choose a high impact medium, like transit advertising to share your brand message. When you use transit advertising, your business doesn’t have to fight to be seen. Your advertisement is a rolling billboard that reaches high traffic areas of town, six days per week. The right time frame is critical for increased message retention, regardless of advertising medium. If you are trying to gain market share, your brand must be remembered. Transit ads that saturate your market for an extended period are remembered. Your ad message must tell viewers where they can learn more to encourage conversion. Without a clear call to action, your audience will not be moved to call your team or visit a website. Ads that create conversions tell their audience about the next step. The most common elements that are lacking from advertisements are the right time frame, a differentiation message and a strong call to action. Transit Advertising, Inc. will consult with your business to determine the most cost-effective, high-impact strategy for your brand. We believe in the power of transit advertising, which is why we utilize the platform to promote our own business. We have observed the power of our formula and its ability to create powerful conversions. Our team regularly receives phone calls and website contacts purely from our Monster Results campaign. We want to share this success with your business. https://transitadvertisinginc.com/wp-content/uploads/2017/09/Cover-Image-1.jpg 590 1200 Samantha https://transitadvertisinginc.com/wp-content/uploads/2015/09/TAI-340x87-300x77.png Samantha2017-09-30 01:19:522017-09-30 01:22:48Does Your Brand Stand Out? In Oklahoma, we know the rivalry between Sooners and Cowboys. Transit advertising is a cost-effective method for increasing brand recognition and promoting ad messages that speak to loyalty. OU Tulsa has saturated their local market with transit advertisements that utilize this strategy. As you can see above, their full wrap advertisement promotes the brand loyalty message, “BECAUSE THERE IS ONLY ONE”. This highly visible advertisement engages with drivers, pedestrians and bus riders in high traffic areas of town. Transit advertisements saturate local markets with high impact ad messages that receive up to 350K impressions per week. Transit advertisement also gives universities the opportunity to make their brand synonymous with high impact messages. 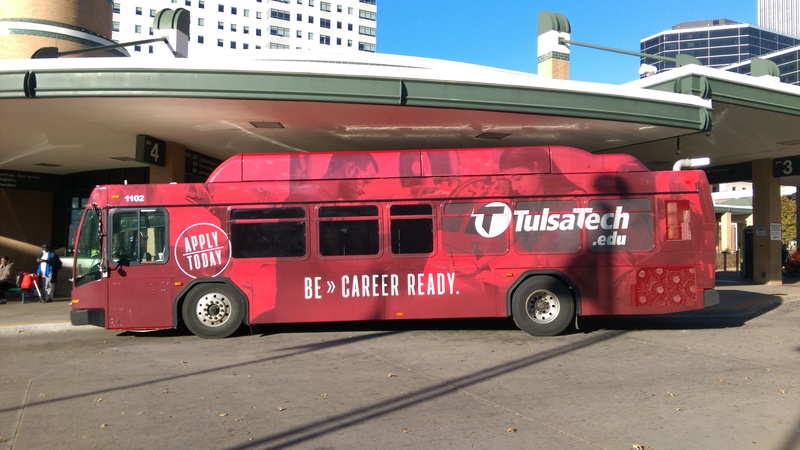 Tulsa Tech is utilizing transit advertising to connect their brand to a major concern for their target audience, career readiness. Their full wrap advertisement is taking over their local market to ensure those seeking technical skills think of Tulsa Tech first when it comes to career readiness. 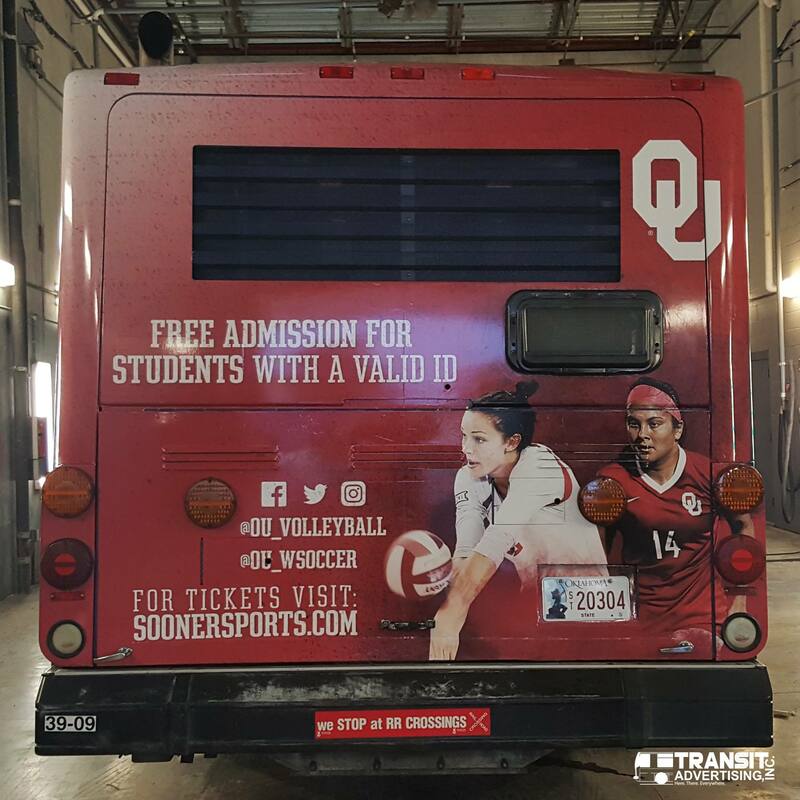 OU has also used transit advertising to promote engagement and attendance for sporting events. The step after brand awareness is engagement. As you can see in the fullback ad above, OU provides the social media information for their volleyball and soccer teams along with where to find tickets. By encouraging social media connection, their ad reaches another level of connection with their local community. Through transit advertising, universities can connect with their local community with up-close and personal messages. They can fuel brand loyalty, encourage attendance for sports games and create a deeper connection their community. 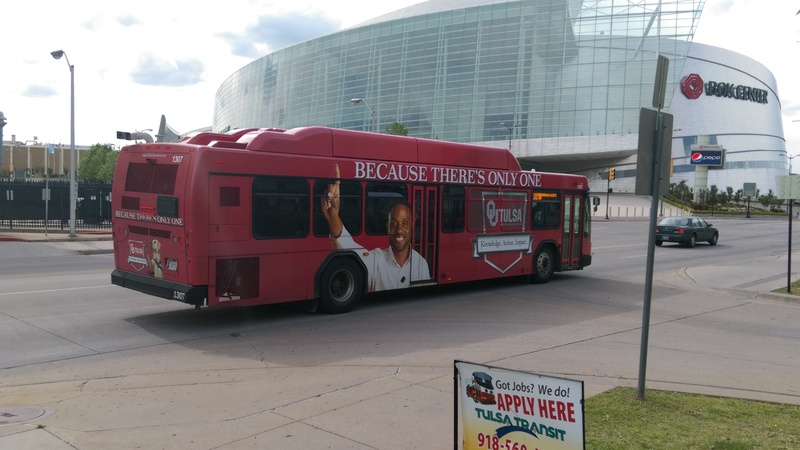 OU is using transit advertisements to saturate their local market to say, “this is Sooner territory.” Not only are their transit advertisements head turning and highly memorable they are also cost-effective. To discover if transit advertising is right for your institution, contact our team today. Unfortunately, many dental practices rely simply on word of mouth to generate business. While there is power in referral, it is only one part of a marketing strategy. Today’s consumers are less likely to give out the information of their friends and family to a business. Without the information of a referral, businesses have little power to create effective follow-up. To create a strong referral system, you must have repeat customers. Before you have repeat customers, you must have first time buyers. Dental practices must create a system that cultivates new prospects in order to have new customers that turn into repeat buyers and eventually provide referrals. Relying solely on word of mouth skips many steps and leaves businesses at a disadvantage relative to competitors. A business should not rely on their customers to do their advertising. In the same way, a website alone is not enough to let prospects know you exist. It is important to create advertising channels that move prospects to a website or phone number where your business can capture their information and create a system of follow-up. 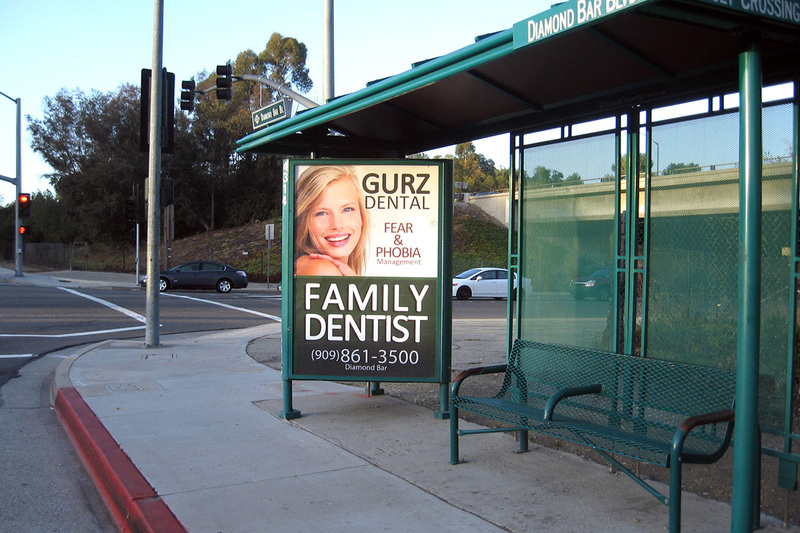 Transit advertising is an affordable medium that helps dental practices saturate their local market. These large format ads easily share your competitive advantage while displaying your business name and phone number or website. Transit ads are billboards on wheels that receive between 250K to 350K impressions per week. 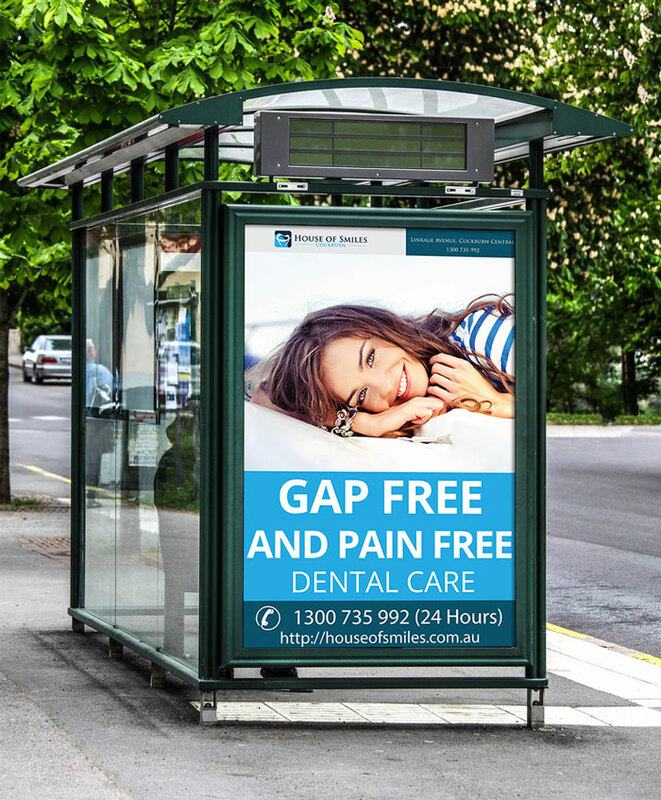 When bus and shelter ads are combined, dental practices have the opportunity to increase brand awareness and subsequently, market share. Transit advertisements increase brand awareness by taking your brand message through key areas of town and major shopping centers. Unlike online ads, transit cannot be swiped away or ignored. These large format ads are seen by drivers, pedestrians and bus riders. It is a misconception that only bus riders see exterior transit advertisements. The main viewer of transit ads are drivers around town. By increasing brand awareness, the eventual referral will have a greater chance of converting into a patient. Think of it this way, when an existing patient informs a friend of your service and this referral sees your advertisements around town, they are reminded to call and set up an appointment. This method moves dentists away from a system that relies on their patients to advertise for them. Transit advertising is a vehicle for increasing brand awareness and cultivating leads. A prospect must see your ad multiple times before they are willing to move. The high frequency of transit ads ensures your ad message is seen multiple times and increases the likelihood of a prospect contacting your business. When considering the right advertising channel for your business, contact Transit Advertising, Inc. It is extremely difficult to gain market share in a crowded industry. No one knows this better than those operating in the fast food industry. With a different fast food option at every corner, business owners must find advertising solutions that make them stand out. “Me-too” advertising is a common faux pas. Too often, fast food business owners flock to an advertising platform to compete for the lowest price. Crowded industries drive down price and create thin margins. Competing with price is a zero-sum game. Instead, fast food owners should be discovering their differentiation factor. McDonalds differentiated themselves over the years with breakfast in 1972 and a PlayPlace in 1987. They were also one of the first fast food chains to go 24/HRs. By focusing on non-traditional business hours, McDonalds increased their profits by 4.5% in a single year. McDonalds has excelled at promoting their differentiation factor over the years, in addition to promoting menu items. While differentiation is important for fast food advertising, it is also important to consider the medium utilized. In an industry with options everywhere, even inside WalMart, it is important to choose advertising mediums you can dominate cost-effectively. Transit advertising leads the pack in cost per impression and the ability to dominate a local market. Bus advertisements can receive 350K impressions per week. 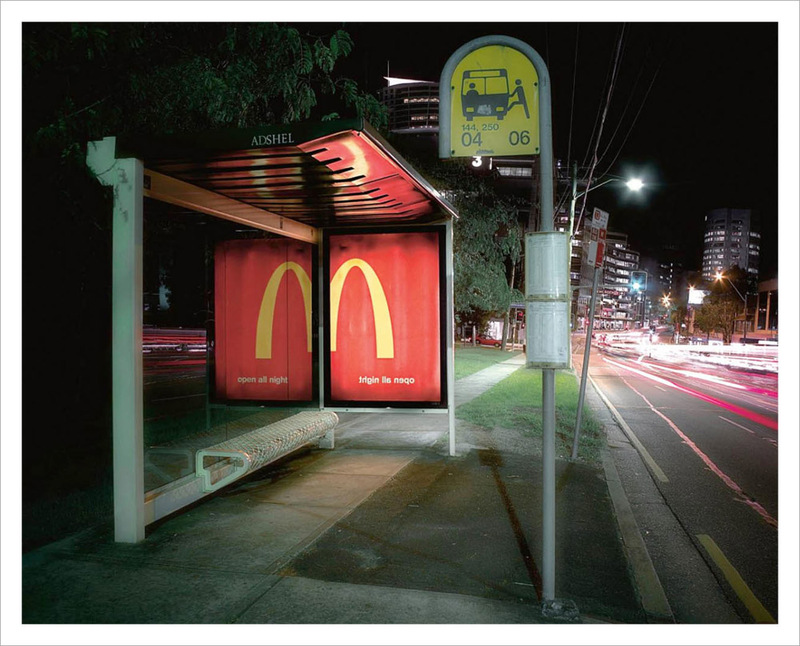 Advertising messages that showcase a fast food restaurant’s uniqueness and the right medium have the power to help brands slowly gain market share over time. Don’t run the risk of becoming just like the other guy with “me-too” advertising. Potential customers lose the desire to choose you when they can no longer see how you are different. This leads customers to hunt for best price, which reduces your chances for success in a highly competitive market. Oklahoma City is the proud capital of Oklahoma. It is the home to a diverse cuisine, attractions and culture. OKC has plenty of hustle without all the hassle. 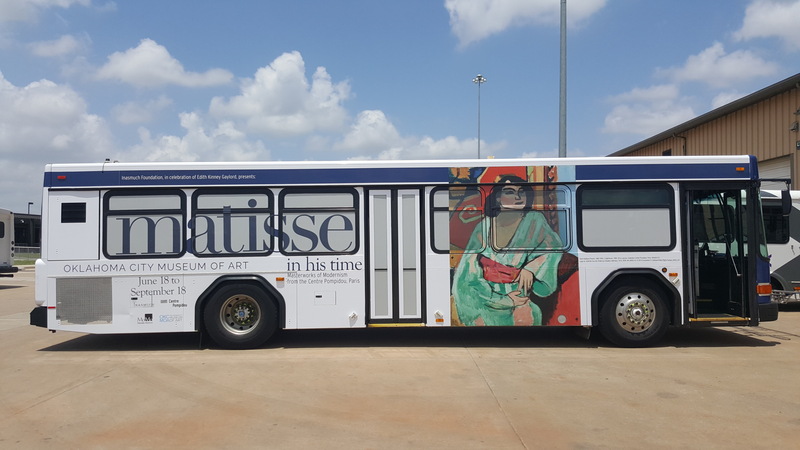 We are proud to work with Oklahoma City, Oklahoma to provide transit advertising that reaches high traffic and key areas of town. 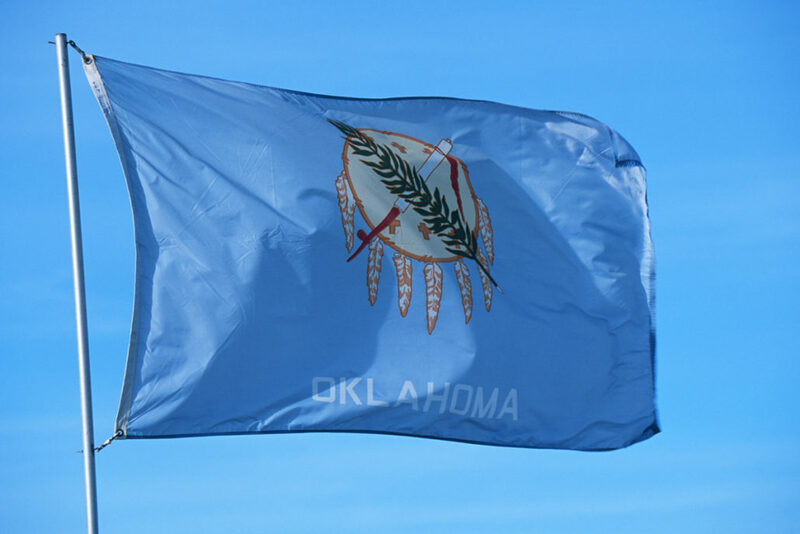 Oklahoma City is the state capital of Oklahoma. Its central location is the crossroads for several major interstates including Highways 35, 4 0, 44, 235, and 240. 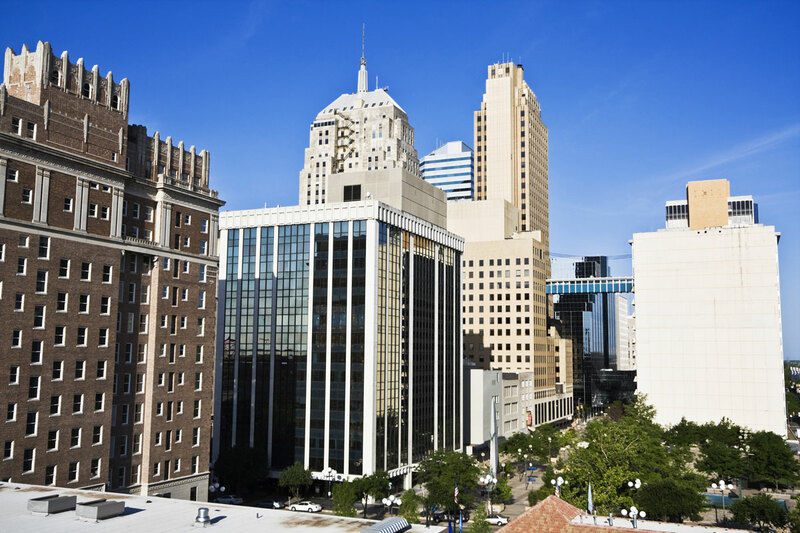 Oklahoma City was incorporated on July 15, 1890. From 1889 to the 1910s city leaders and builders turned the railroad watering stop into a bustling commercial and transportation hub. The population nearly doubled between 1890 and 1900, which led to a small housing boom. The 1920s witnessed further economic development. The Capitol sits above an oil pool and by 1935 the Oklahoma City oil field had produced 409 million barrels of crude oil, and ninety-five oil industry companies employed twelve thousand. Today, Oklahoma City offers numerous attractions such as the Oklahoma History Center, the National Cowboy and Western Heritage Museum, the Oklahoma City National Memorial Center, the Oklahoma City Museum of Art, the Omniplex Science Museum, the National Softball Hall of Fame, the Forty-fifth Infantry Division Museum, and the Oklahoma City Zoological Park. Bricktown in downtown Oklahoma City is the venue for a movie theater, restaurants, retail shops, and business offices. The Cox Convention Center, the Ford Center, and the AT&T Bricktown Ballpark provide locales for sporting and other recreational events. Revitalized. Revamped. And really cool. 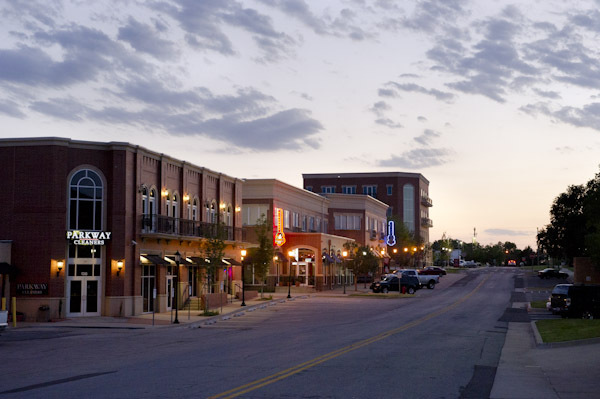 Located just north of downtown, what used to be the primary location for the city’s car dealerships is now home to some of OKC’s best local dining, specialty shops and more. Once a busy warehouse area, Bricktown is Oklahoma City’s hottest entertainment and dining district. Midtown’s mix of local restaurants, neighborhood pubs, unique shops and historic homes make it a great place to experience the best of OKC’s recent urban renaissance. Information courtesy of Visit OKC. Health care is personal. It is not a stretch to see that health care advertising must also be personal to produce results. Consider this, ad messages do not have to include your name to feel personal. Instead, it is whether the message connects with a personal need or emotion that makes the ad feel personal. This is not saying there is not a place within your advertising strategy to use names in communication. It simply means, that the use of names should make sense with the advertising platform being utilized. Advertisers typically use a variety of platforms within their campaigns to reach consumers. When transit advertising is added to the mix, it has the power to reinforce personal messages on a large scale. Transit advertising is one of the most cost-effective advertising strategies for gaining market share. Large format transit advertisements receive 250K to 350K impressions per week. When this is coupled with a long-term strategy, brands are able to increase their market share. Transit advertisements ensure your personal ad message saturates the market you serve. You might be asking yourself, “What goes into crafting a personal health care advertising message?” We have a formula that may help you. Short messages are vital for transit advertising. They are easy to remember and allow ad designers to highlight the message powerfully. There is place for highlighting a new product or service. However, many patients may not understand the utility of a product or service. They do understand that you care about them and their unique needs. Patients will go where they feel safe. Potential patients will not remember the slogan for a facility if it is too closely related to other health care advertisements. Transit advertisements are like rolling billboards that allow you to connect with your community through large, powerful and personal messages. They are easily remembered by patients as there is no interruption media that keeps them from seeing the advertisement. This is not a pop-up ad that is easily dismissed or an advertisement that is easily blocked by internet settings. The right message, platform and frequency will determine your advertisement’s success. Transit advertising offers you the level of frequency that creates top-of-mind awareness. If you are not familiar, top-of-mind awareness ensures your facility is thought of first when a patient thinks of your service in their market. A common misconception is that billboard advertising targets consumers better than transit advertising. This misunderstanding assumes that by placing an ad at a specific intersection or highway near the place of business, the ad will influence consumers to pull over and purchase. While this may be true for some highways informing travelers where to pull over for food or gas, it is not effective for all businesses. Billboards are less effective for those seeking to increase market share, dominate a local market and increase brand awareness. Billboards do not provide full market coverage or the ability to reach consumers at multiple locations. Whereas, transit advertisements have the ability to reach consumers on their daily commute in addition to other outings all over town. The misconception that billboard advertising is more effective than transit advertisements may also be due to the high cost. It is important to recognize that the high price of billboards does not reflect their effectiveness. Transit advertising allows businesses to purchase multiple advertisements for the price of ONE billboard. Multiple transit advertisements provide greater market coverage, impressions and brand awareness than a single billboard. Many business owners believe that it is crucial to have an ad at a specific location in order to influence sales. If you are seeking to gain exposure, an ad in one location limits your ability to reach prospects that may use other driving routes within your target market. Transit advertisements travel to key areas of town and shopping centers. This ensures your advertisement reaches anyone within reasonable driving distance of your business. A single billboard cannot deliver this type of exposure. Transit advertisements on para-transit buses even travel through neighborhoods. When you choose billboard advertising your brand misses out on reaching consumers across your target market. Billboards limit your reach to only a small segment of potential customers. Transit advertising takes your brand message where no other advertisement can go. Transit advertising provides between 250,000 and 350,000 impressions per week. Cost per impression is better than any other from of out door advertising. 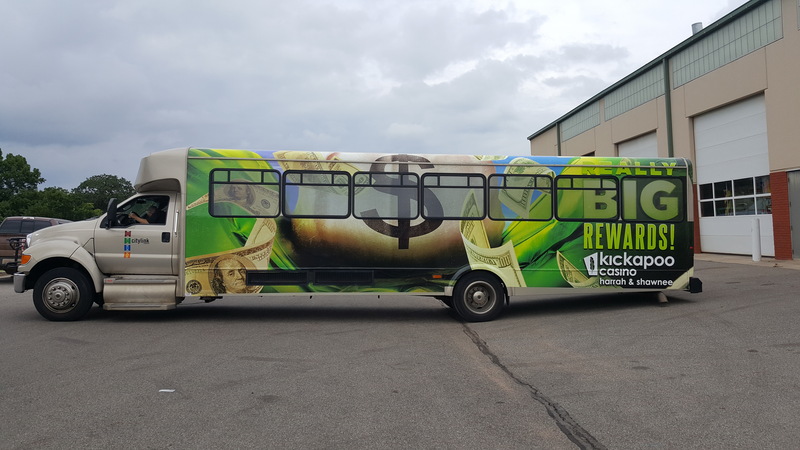 When you’re considering a cost-effective and highly impactful form of promotion, consider transit advertising. Transit advertising plays an important role in communicating brand messages at a local level. They are a cost effective method that generates powerful results, consider this when creating the right campaign mix for your clients. Transit advertising allows you to generate more bang for your client’s buck. Below are five transit advertising benefits you can share with clients. Transit advertising yields 250K to 350K impressions per week. Consumers see transit ads during regular commutes and other outings around town. This type of brand awareness helps consumers gain more familiarity with brands and move closer to a point of purchase. Transit advertising extends campaign reach in a cost effective and impactful manner. Transit ads reach drivers, pedestrians and riders. They are seen during daily commutes and bus rotation ensures ads are also seen in key areas of town such as shopping centers. The goal of branding is to build Top of Mind Awareness. Transit advertisements receive 250K to 350K impressions per week. This high frequency ensures the advertised brand is first in the mind of consumers when they think of your client’s service in their market. Transit advertisements are cost effective. They have lower cost per impression than other large format ads. Receive multiple transit ads for the cost of one billboard. There is no premium for targeting key areas of town or advertising during prime hours. Transit ads run 14 hours a day, 7 days a week with no additional charges for high impact areas. Transit advertising helps your brand break through interruption media with localized brand messages. This gives advertisers the opportunity to engage with their target audience at a local and personal level. Localized brand messages create a significant impact. Their high frequency makes them easily recalled. 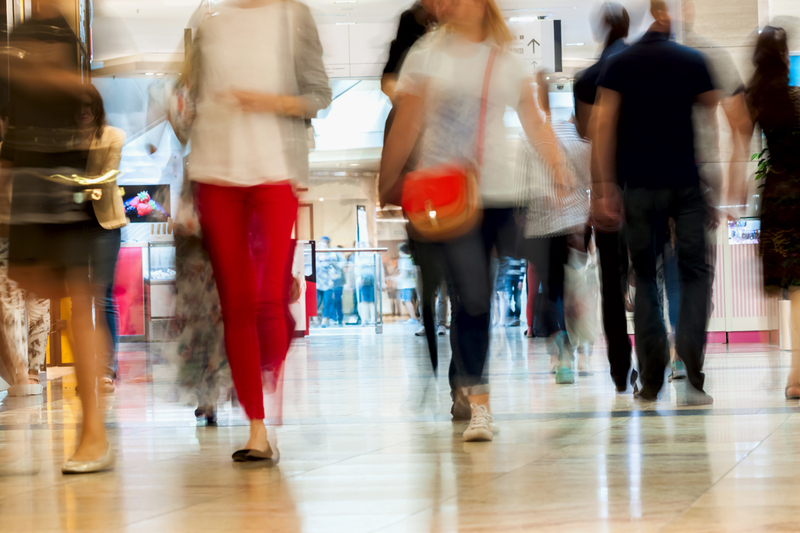 Localized brand messages reach consumers with powerful ads close to the point of purchase.